Mowing the grass is a thing of the past! 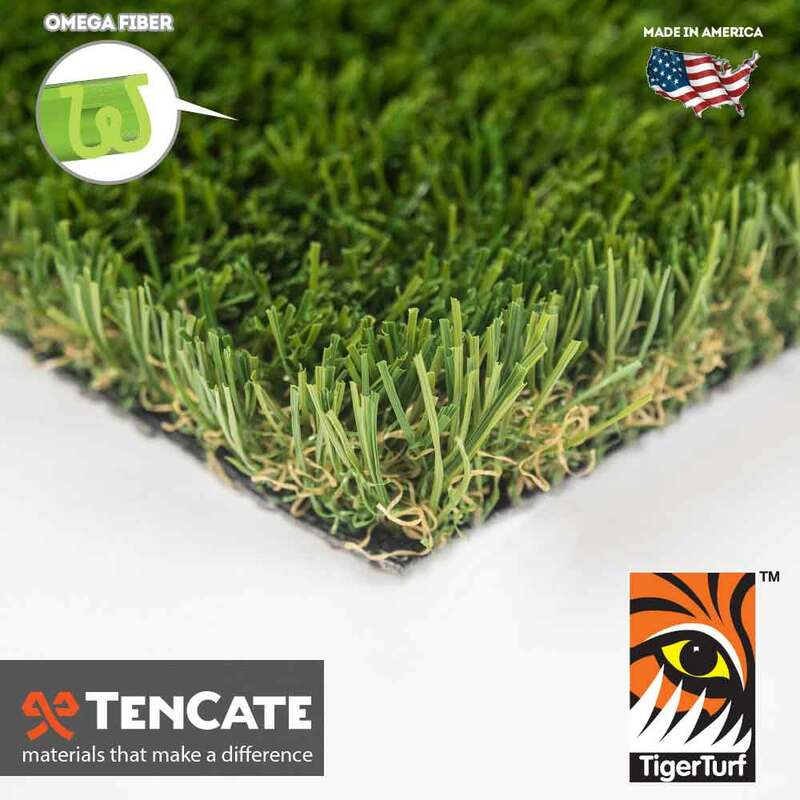 TigerTurf Everglade Fescue artificial turf is the ideal landscape for lawns and commercial properties across the North America! In addition to an amazing force resistance, the backing is also perforated which makes it ideal for post-party cleanup, four-legged friends or for children at play. Guaranteed to last for years to come, Everglade Fescue turf is the landscape that will work for you and your clients! Keep your landscape green with Everglade Fescue synthetic grass!